uOpen is the UK’s first subscription box marketplace — a whole website dedicated to showcasing the hundreds of brilliant subscription boxes that are available for people of different ages and with different interests. 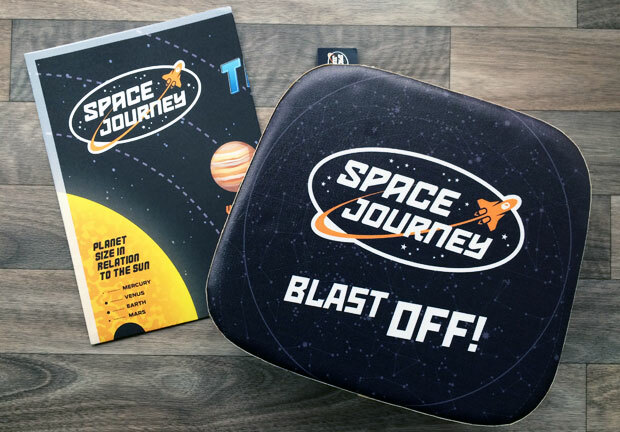 They have lots of subscription boxes for kids too and we’ve had a look at one of them — the Space Journey Box which is filled with creative, fun and educational activities for little astronauts who are keen to learn about space. We chose this box with my eldest daughter in mind. She’s 5 years old and has been going to school since September and is generally very keen to learn as much as possible about everything and has shown an interest in space. The box is suitable for kids aged between 4 and 10 years. 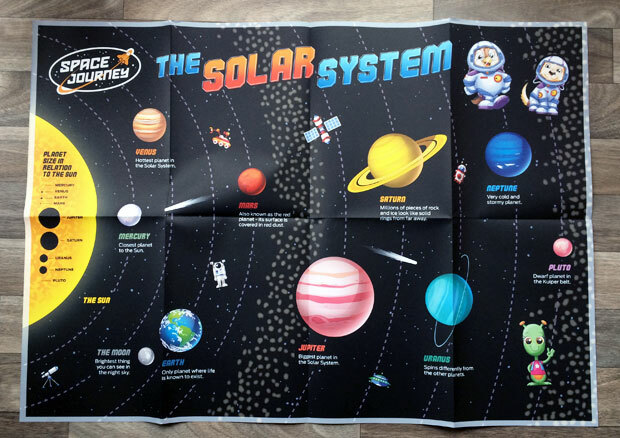 The Space Journey box takes kids on a tour around the solar system and each month it will teach your child about each of the planets with facts and fun activities. 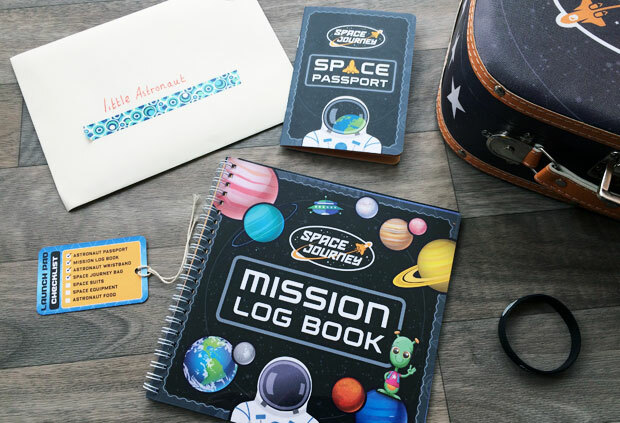 This astronaut kit is a mini space-themed suitcase that contains a mission activity log book, passport, stickers, stamps, fact card and map of the solar system. The contents have been designed and developed in line with the National Curriculum and tried and tested by children and parents. The first box contains the astronaut kit and the suitcase and each following box has a cool new space souvenir (such as space sunglasses or real astronaut food!) and fact cards etc. to continue exploring the solar system and learn more about space and the planets. 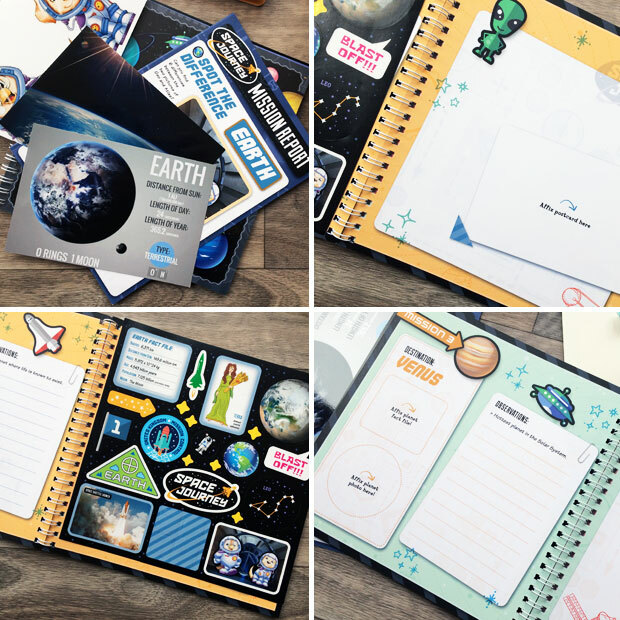 This box provides you with a great tool to learn about space with your child in a fun way that will keep your child interested and excited! I really like this whole idea of subscription boxes that help you explore your skills or knowledge or that encourage you to try new things or read new books. Head over to uOpen to explore the different subscription boxes that are available for the whole family. I might have to order myself a snack subscription box or a book one! It’s great to have lots of options collected on one website like this so that it’s easy to compare different boxes, their contents and their prices. This box was provided to us for this review. As always, all my reviews are 100% honest and all thoughts and opinions are my own.